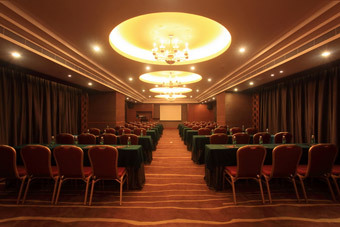 Guangzhou Leeden Hotel, invested and built by Jiayu Group, is managed by the Grand Hotel Management Group under Jiayu Group, which is mainly engaged in real estate business, together with other three businesses such as hotel, cinema and mall as its equivalents，and traiding, capital management, property management, advertisement and toursim as its sidelines, and after more than ten years of constant development, has become one of the strongest business group covering different industries. 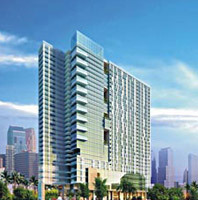 “Leeden Hotel” is one of the two brand series owned by Grand Hotel Management Group, the other is “ Grand Hotel”, both of which are mile stones for the development of the Chinese hotel industry. 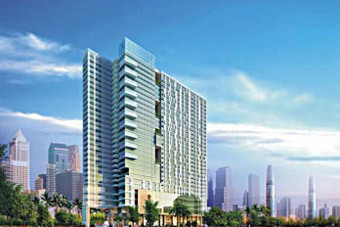 Being located in the heart of the business district in Guangzhou CBD ----- Zhujiang New Town, Guangzhou Leeden Hotel keep you in touch with the vibrant commercial centre of the city. 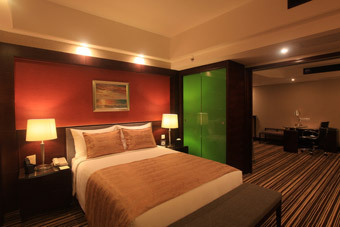 Having easy access, Guangzhou Leeden Hotel is merely 40 minutes drive away from Guangzhou New Baiyun International Airport, and only 15 minutes drive away from Pazhou Exibition Center, and being next to the Guangzhou New Sights such as Guangzhou Twin Towers, Guangzhou International Finance Center, Guangzhou Museum, Guangzhou Opera and other city shopping malls, it’s undoubtly the first choice of all business travellers. 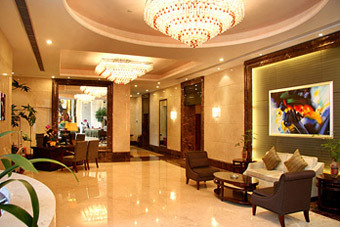 Guangzhou Leeden Hotel, being cozy and elegant, has 253 grand and spacious guestrooms designed for discerning travellers. 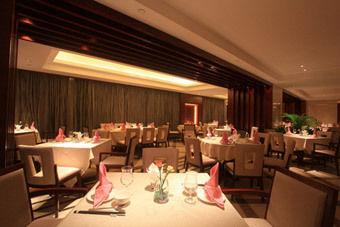 Chinese, Western and Japaness Restaurants with unique designs offering a fine selection of delicious cuisines. 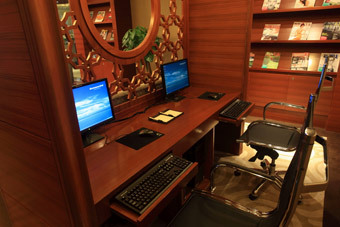 The hotel provides different services for our guests from all over the world, and Golden Key, Fitness, Foot Care and free in room high-speed internet surfing, business center, in-door swimming pool, table tennis, spa. Center, muti-functional meeting rooms with the latest meeting & conference facilities and equipments are all there to meet the widest range of your needs.